Trion character half mask: Trion just wants those noisy kids off the lawn, maybe just completely out of town, and perhaps off the planet altogether. Is that so much to ask? Some people are afraid to speak their mind. Trion does not have that problem. Now seriously, get off Trion’s lawn. This mask won’t ask twice. The Trion character half mask is based in the expressive qualities of pride, arrogance, anger, envy and anguish. The severity of the mask presents an extreme perspective on the world. The counter mask is one of profound dimension. 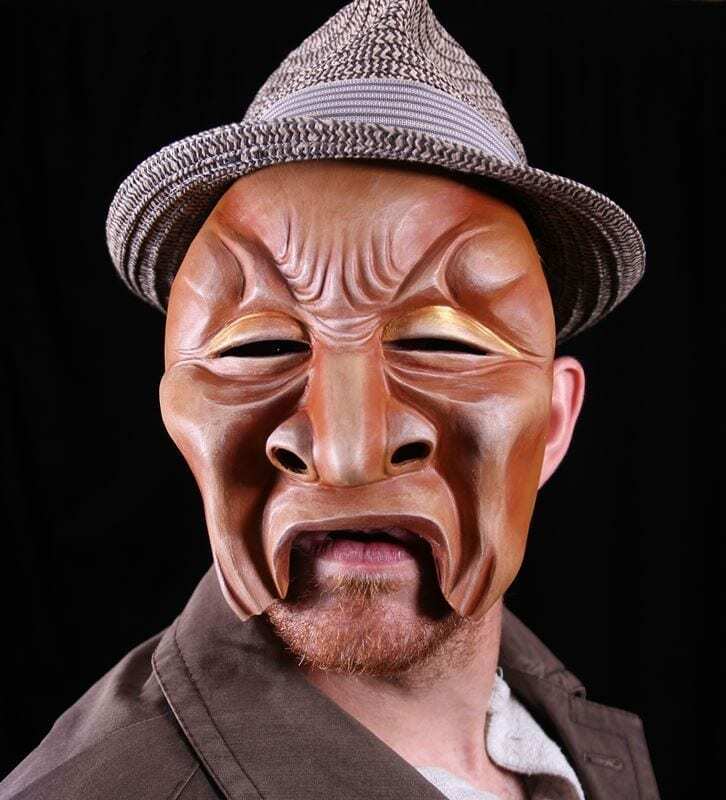 The Trion mask is also part of new series being developed as masks for actor training. 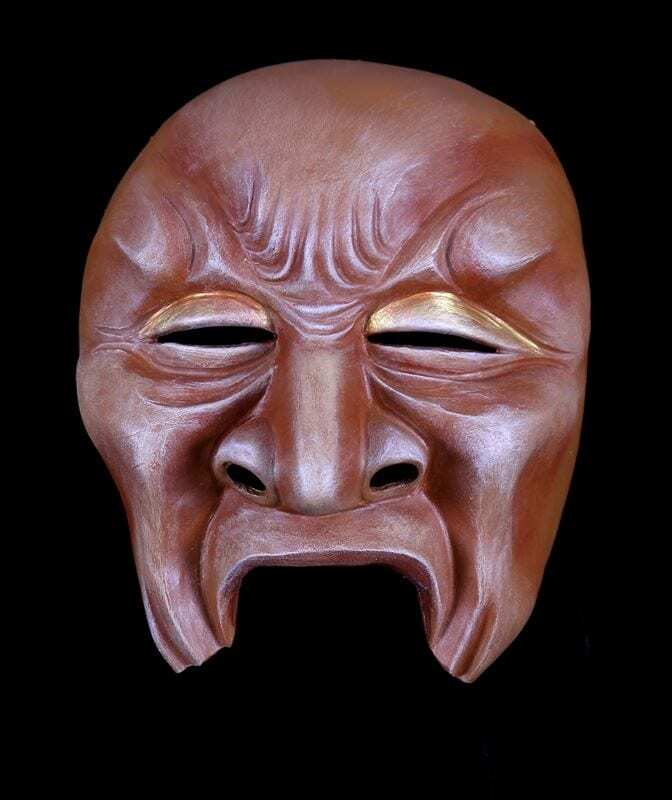 The experience with this mask in the classroom has revealed it to be an excellent choice for a character in a masked play as well.